When we think of mechanics, we usually call to mind something broken and the person knowledgeable to fix it, like a car mechanic, an electrician, or plumber. We might also think of a bookkeeper, accountant, or statistician sorting through and making sense of numbers. And one more thought might be the mechanistic lens through which Western sciences have viewed the world and used to reduce it. “God in the machine,” so to speak. Humanity began to look for order long ago, and with each observation a revelation or understanding was gained of what seemed to be an implicit order to just about everything. I perceive that to be the case too. As I recently taught in the nine-month Subtle Anatomy and Meditative States program, “There are very few principles in cosmos, yet those few replicate, reiterate, fractal, and express in multitudinous ways. Our goal is to realize the sameness thus the simplicity of Reality.” The six-week course, Particle and Wave: the Quantum Mechanics of Consciousness, will take in hand the specific similarity of the mechanics of spiritual awakening, its results in you and the world, and the quantum physics behind it all. Physics has discovered these principles but doesn’t seem to know that these are the same principles of the Path of consciousness. Yet the Dalai Lama does, as do meditators of deep experiences from around the world, across spiritual disciplines and across time. ride a bike to work and you are practicing how to balance the bike as well as counter gravity, move it forward and stop it when necessary, navigate curves and therefore trajectories, and do all that within a specified amount of time. Physics. cook anything from tea or coffee to breakfast to a gourmet meal for 20. This would require an understanding of thermo-dynamics, heat capacity of pots, pans, and foods, intensity thus wavelength of heat source, transfer of energy to the pan then to the food being cooked thus the excitation of the molecules (this is the cooking), and so forth. thinking. Neurobiology and quantum physics are currently sharing notes. The options of neural pathways for any one neuron to travel are many, and each thought, impulse, desire, instinctual response (like the blink of an eye or avoiding fire), and autonomic process of the body requires neurons to travel neural pathways. The mechanics of this are like the mechanics of quantum particles. Somehow particles appear to make choice, they seem to drop out of their apparent random state of being and make their impression. Thoughts can have a similar apparently random quality. We sit and are reading a book, but then we realize that though our eyes were moving and our mind was “hearing” the words, our thoughts were on some random thing or at least something that randomly arose. Meditators know this as well. Yet, a person has the capacity to focus on anything from birthing a baby, to a put on the green, to a conversation with a friend, to answering the need of a child or pet. Out of all that is randomly or apparently happening around us, our senses sift out temporarily necessary and unnecessary data. This is quantum mechanical in nature, and it happens countless times a day. An example of the quantum mechanics of consciousness is similar to the cooking one above. Thermo-dynamics has to do with heat capacity and heat transfer as well as the resultant excitation of the stuff being heated or cooled. Heat translates as intensity. We know this. Heated emotions are intense, heated arguments can boil over into violence, in the heat of passion we can be consumed by love or addictions, and a heated debate leaves little room or time for error. Certain religious practices, being like these examples, are a display of the light of consciousness or a refined quality such as compassion or altruism being unable to penetrate the dense field of belief, thought, or personalization that the religious sect or practitioner is ensconced in. The refined light is being refracted into a coarse manifestation, the intensity with which it is being expressed is like a delicate crepe cooked too fast and burned, no longer the delicate crepe it was intended to be. An example of consciousness and thermo-dynamics is when a meditation provides an insight, awareness, or energy experience that is intense in the moment and/or in its ramifications. In either case, change in our life, thoughts or beliefs is required. We might feel cooked, weakened, or fired up as a result. Truth is, our matters and consciousness have been electrified by the electro-magnetic wave of consciousness moving at the speed of light as it has interacted with our self. The speed of light of consciousness has provided the intensity causing either a warming of the heart and mind or a sparking of the intuition or a distillation of a some thought, belief, preference or avoidance. We’ve been touched by spiritual fire. 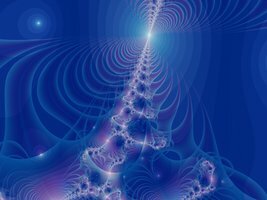 Particle and Wave: the Quantum Mechanics of Consciousness, a six-week online course begins Wednesday, February 13. Date and time not convenient for you? No problem, that’s the beauty of an online course. When you are available, it is too by full recorded webcast. 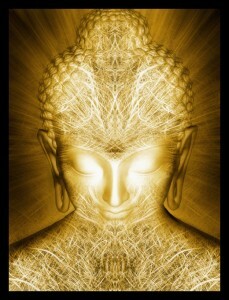 Interact with me by email with questions and comments, thoughts and discoveries. Hope you’ll join the class. This entry was posted in Science and tagged consciousness, Dalai Lama, meditation, philosophy, quantum mechanics, speed of light. Bookmark the permalink.